Brighton maintained their push for the Premier League after a hard-fought 3-1 win at relegated Charlton. Sam Baldock opened the scoring for the visitors early on but Johann Gudmundsson hauled Charlton level at the start of the second half. However, Brighton were back in front within minutes thanks to Jiri Skalak and Tomer Hemed's late penalty settled matters. With Middlesbrough dropping points, Brighton are now only being kept out of the automatic promotion places on goal difference. There were familiar protests at the Valley against owner Roland Duchatelet, orchestrated by the Charlton supporters, which saw beach balls thrown onto the pitch within moments of the kick-off. There was a six-minute hold-up but within two minutes Brighton were ahead to further dampen the mood of the fed-up home fans. Skalak's free-kick caused confusion where Baldock was afforded way too much room to slot home from six yards out. It was an ominous start for relegated Charlton but Brighton were in danger of allowing their hosts back into it from two set-pieces. Jorge Teixeira failed to connect with Jordan Cousins' corner before an unmarked Morgan Fox shot tamely at Seagulls goalkeeper David Stockdale following a Gudmundsson corner. 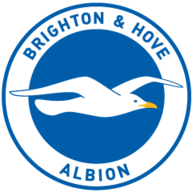 In-form Brighton had scored nine goals in their last two home games and Anthony Kockaert had been instrumental in their blitz. The Frenchman threatened to add to his side's tally with a long-range shot that was kept out by Nike Pope at the second attempt. Brighton and Hove Albion's Sam Baldock (centre) celebrates scoring their first goal during the Sky Bet Championship match at The Valley, Charlton. Brighton looked comfortable but Gudmundsson fired a warning when his snap shot hit the side-netting after 37 minutes. It was a reminder that this game was not over yet. Baldock could have given Brighton some much-needed breathing space only for the striker to drag his shot wide when well placed in the 50th minute. It could have proved costly as Gudmundsson hauled the hosts level two minutes later. Cousins' surging run and cross found the Iceland winger unmarked to tap home. Baldock missed a golden chance to restore Brighton's lead when he collected Knockaert's pass but was foiled by Pope. Skalak would make no mistake when Beram Kayal teed up the Czech winger to beat Pope in the 55th minute. Gudmundsson again threatened when he met Fox's cross but his half-volley sailed just over the crossbar. Chris Hughton's side had not been at their best but, in a rare late counter-attack, Knockaert was kept out by a brilliant reflex save from Pope. Knockaert then won his side a stoppage-time penalty when he was tripped by Rod Fanni, allowing Hemed the chance to slot home and wrap up the points. 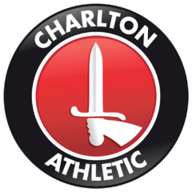 Charlton, to their credit, did not throw the towel in even if their supporters had. Flares were thrown onto the pitch in the latest stoppage but Brighton kept their composure to clinch a precious win.